Hello Boston! 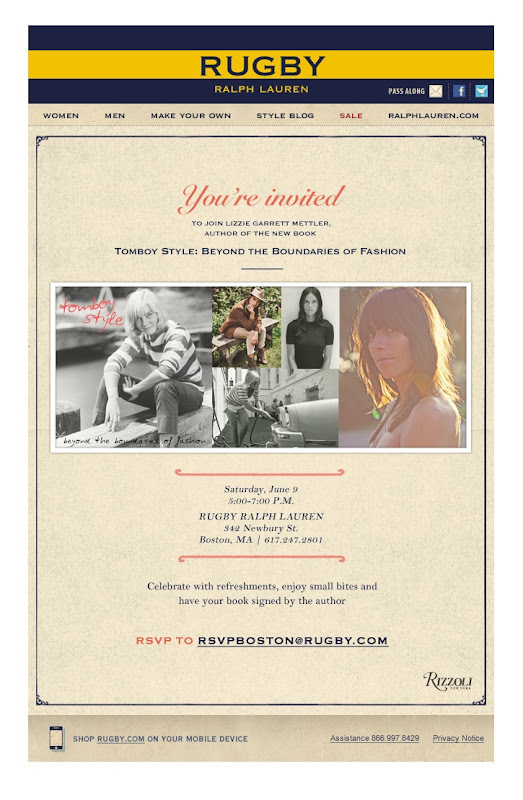 Please join me next Saturday, June 9th at the Rugby store on Newbury Street! And stay tuned for a huge Rugby giveaway happening on the blog coming up next week! Can't wait to meet you Lizzie! Sweet! I'm a flight attendant and I'm laying over in boston that night!! when I RSVPd, I was asked what outlet I will be representing-- is it a closed/media-only event or can we all come? I do work in media, on the digital/design side; in a pinch I could bluff my way into credentials, but is that necessary? Just realized I'll be in the city tomorrow, so I'll definitely stop by. Hooray!